Till the Man in Game 7 to grab his very own champion Ring. How much changes he have in his life. Everyone deserve a second chance but all up to your own self to take it or leave it. 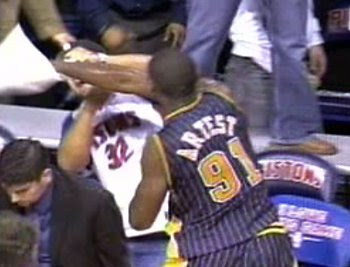 Ron Artest choose to take it BEAUTIFULLY. He is the man who learn through all his mistake in this short season which only have 9 months. Even a bad boy like him can be changed. What about us? What about me? Believe in yourself and do what you WANT!! !